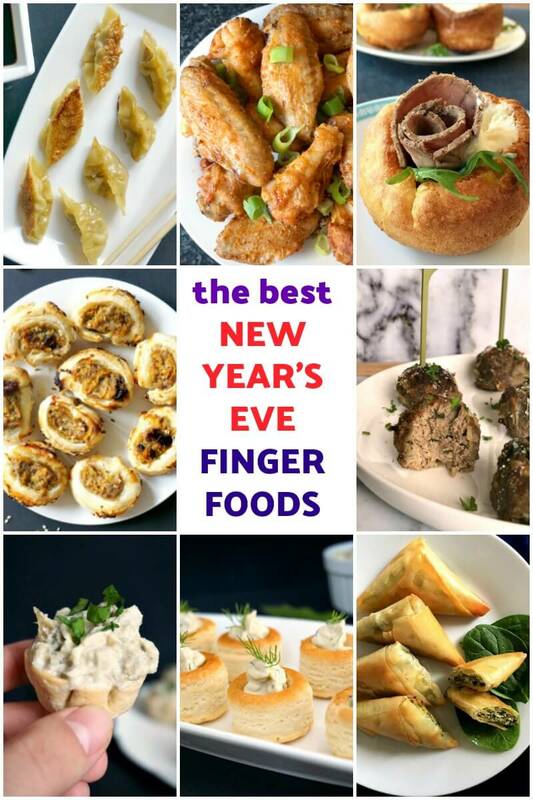 These New Year’s Eve Appetizers are my absolute favourite finger food recipes that I have posted along the time, recipes that I can never have enough of; and would be a brilliant choice for the most awaited party of the year. These are appetizers for all tastes, including vegetarian options. It sounds like a cliché already, but how time flies! I cannot believe that this year is almost gone, how did this happen? I am not sure if soon I’ll be one year wiser, let’s just leave it to one year older only. Whether it was a successful year or not, a happy one or not, there is always that hope for a better year. And, of course, we have the New Year’s resolutions to worry about later on. But, for now, let’s just enjoy the company of our dearest and nearest, and, of course, the delicious finger foods we have ready for the special moments. Each link will take you to my original recipe, enjoy and I hope you’ll have a wonderful party! 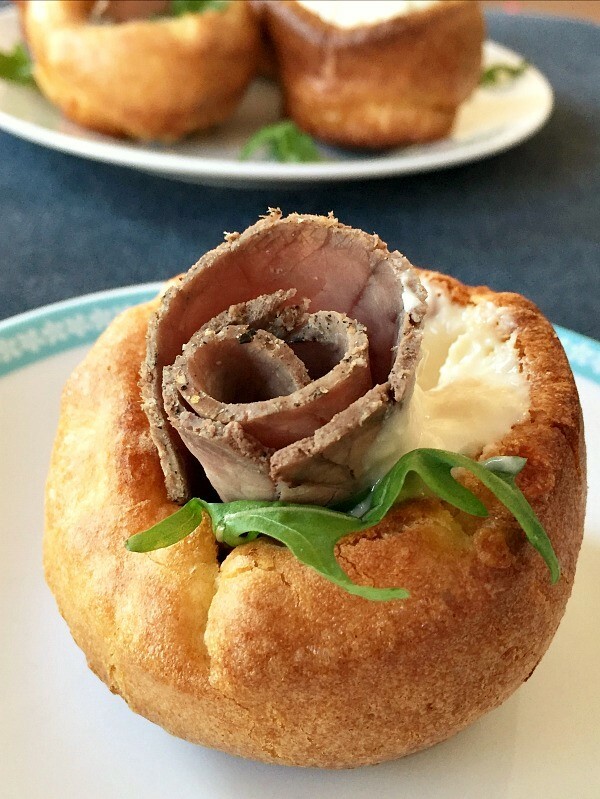 Mini Yorkshire Pudding Canapés– inspired by the famous English Yorkshire puddings, these bites not only look impressive, but taste amazingly well too. No mess, no fuss! 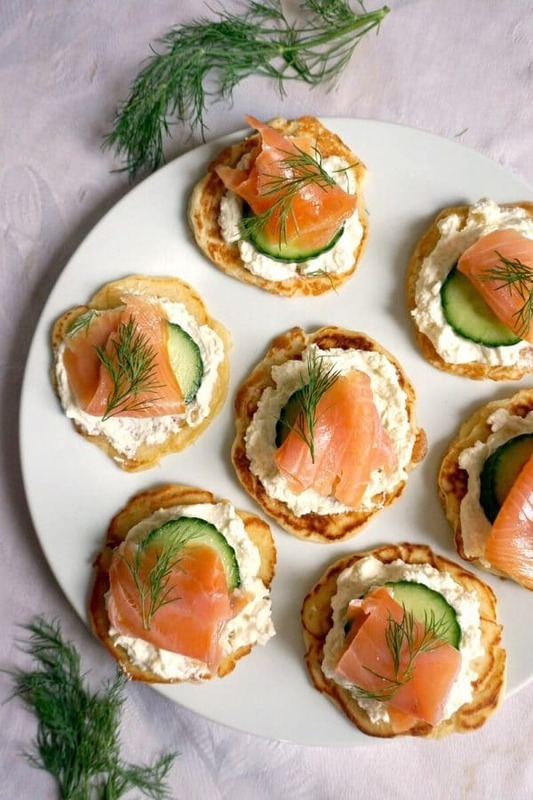 Smoked Salmon Blini Canapes – the perfect party food for your New Year’s Eve. Delicious blinis topped with silky cream, cucumber, smoked salmon and a touch of lemon; can’t think of a better appetizer! 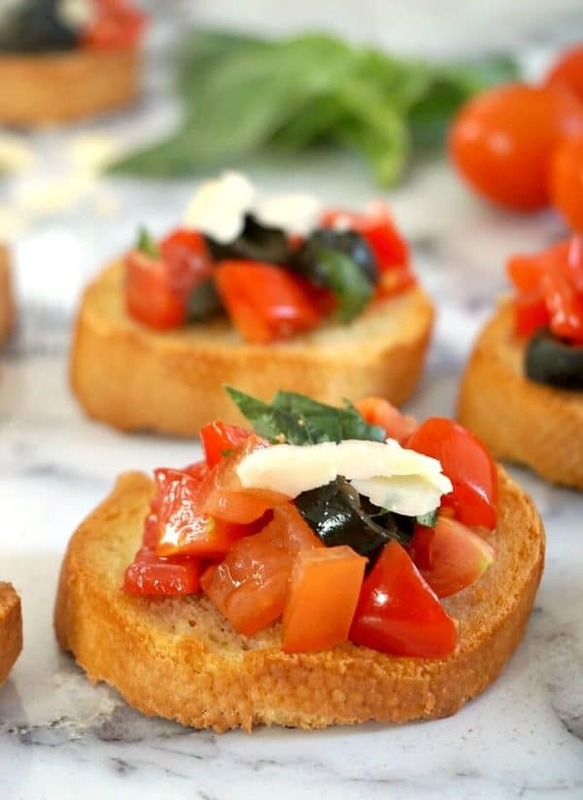 Italian Tomato Bruschetta – a posh and tasty Italian starter for any occasion. It might look simple, but it’s heavenly flavourful and tasty. 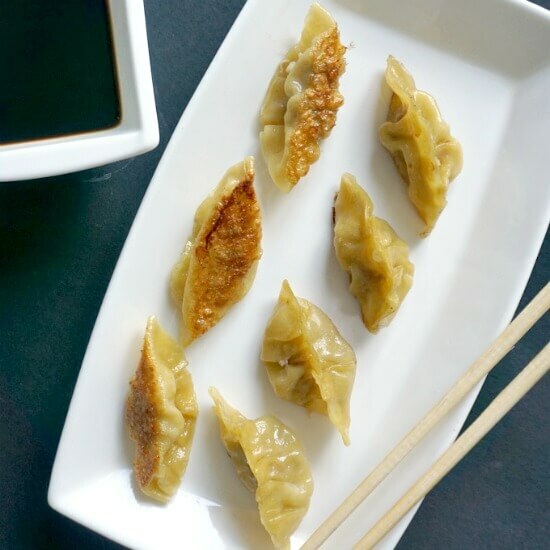 Pan-Fried Chinese Dumplings with Shrimp and Pork – the best Asian-style dumplings.They are a fantastic appetizer for any party, and can be ready in about 15-20 minutes. 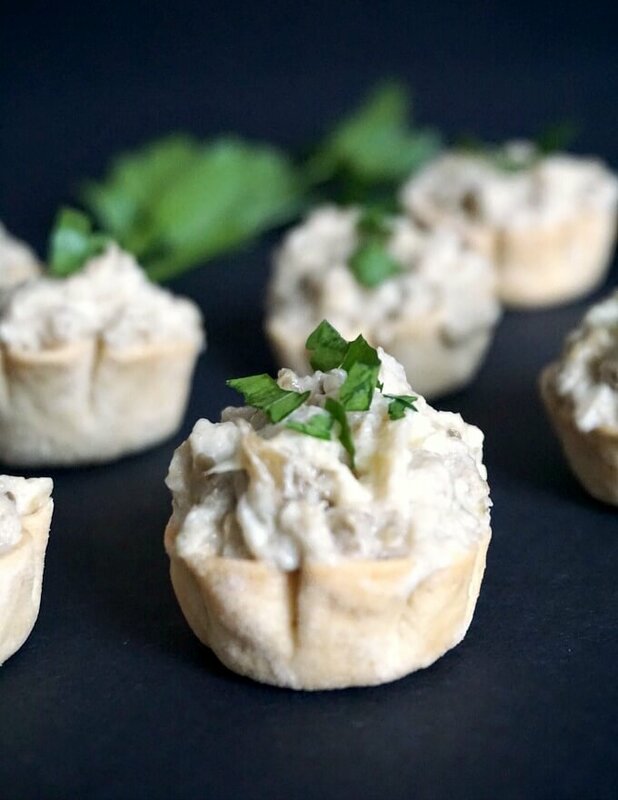 Smoked Salmon Pâté Appetizers-if you like smoked salmon, you will love these delicate appetizers. They are incredibly tasty, and super easy to make. No one will believe that the smoked salmon pâté is made from scratch. 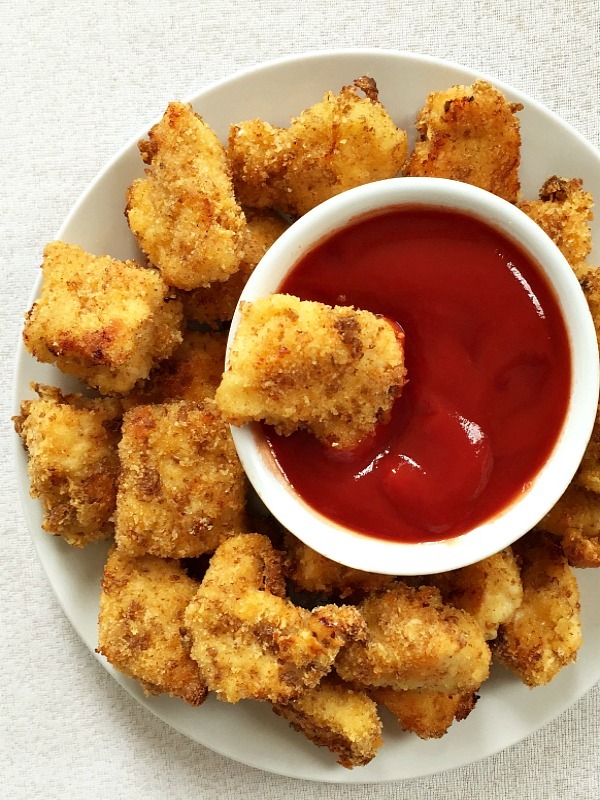 Baked Chicken Nuggets – crispy, hot, sinfully tasty. And ready in just 30 minutes. An easy recipe that goes well with the whole family. 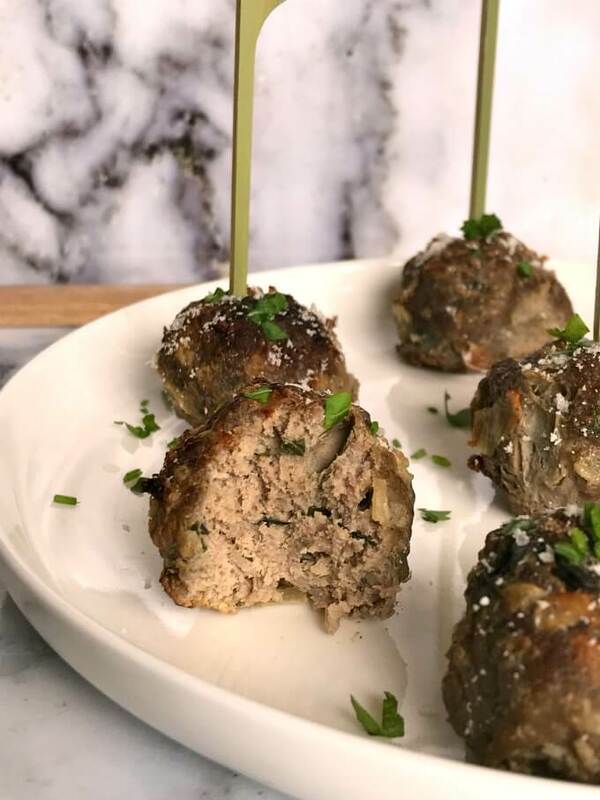 Baked Italian Meatballs – a fantastic appetizer for your New Year’s Eve Party. 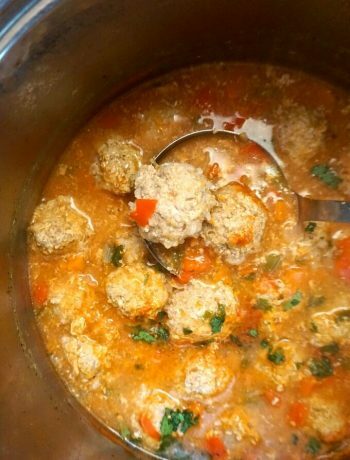 A lot healthier than the fried meatballs, but so juicy, flavourful, and as quickly to make. Serve them with a nice tomato sauce, or just on their own with lots of grated parmesan and fresh parsley. Extra Crispy Baked Chicken Wings – the perfect finger food for the most important party of the year. 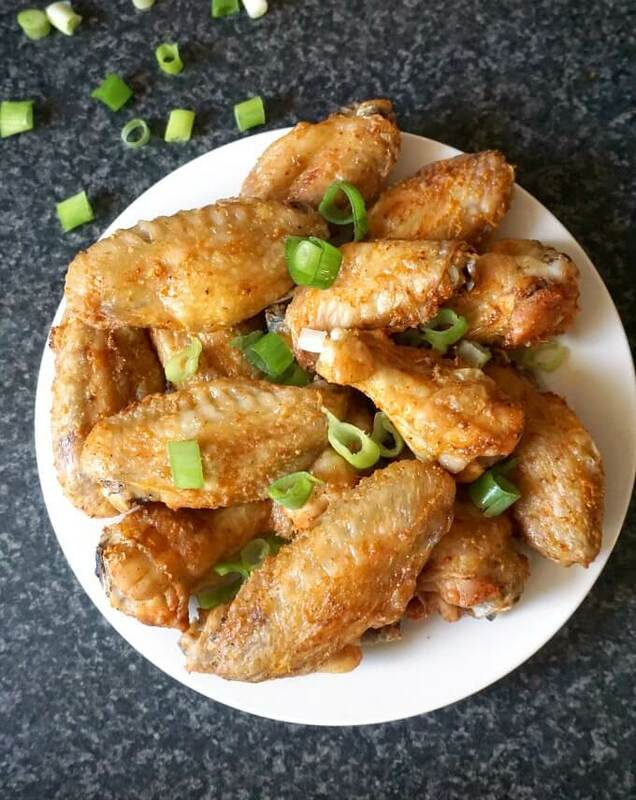 A lot healhier than the fried ones, these wings are absolutely delicious. 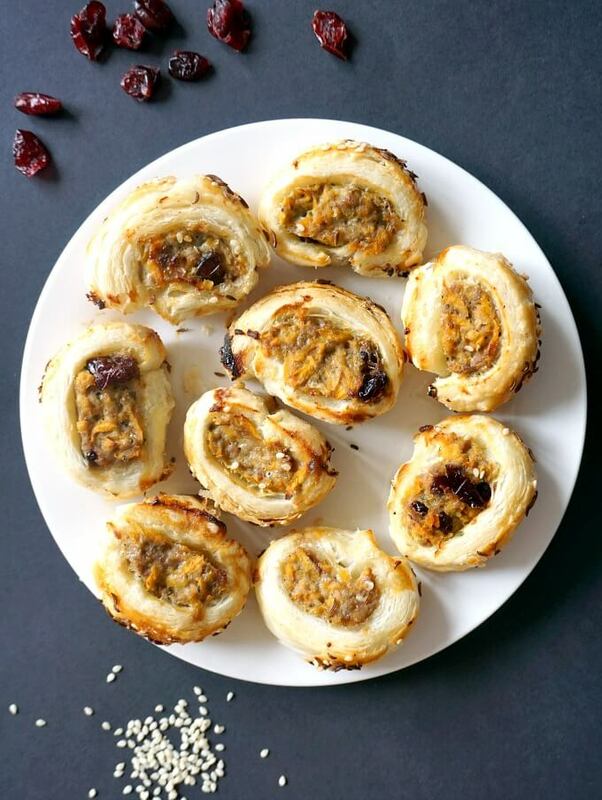 Mini Puff Pastry Sausage Rolls – an impressive bite-sized party appetizer for a crowd. A lot lighter than the traditional sausage rolls, but so flavourful and easy to make. These turkey sausage rolls are great served either cold or hot. 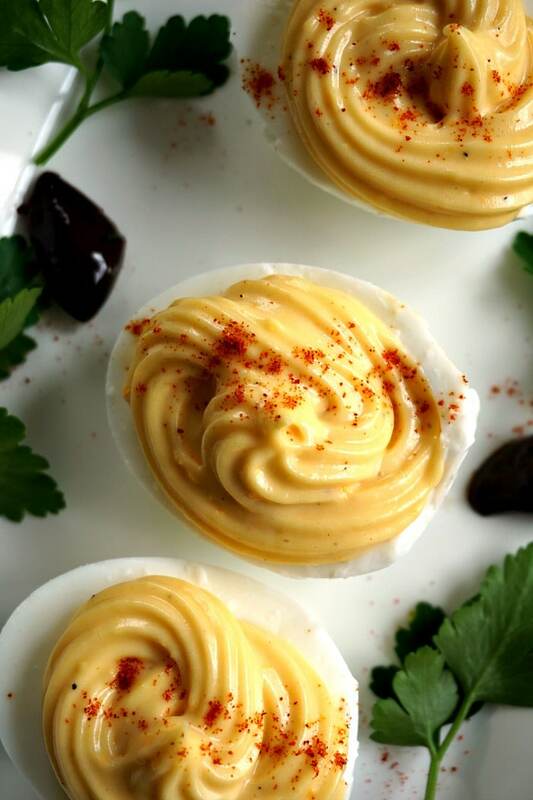 Simple Deviled Eggs – they might be easy to make, but they are fail-proof and sure to impress anyone at the party. The classic appetizers are definitely one of my favourite party finger food. Homemade Chicken Liver Pâté– a delicious cold appetizer to feed a crowd. 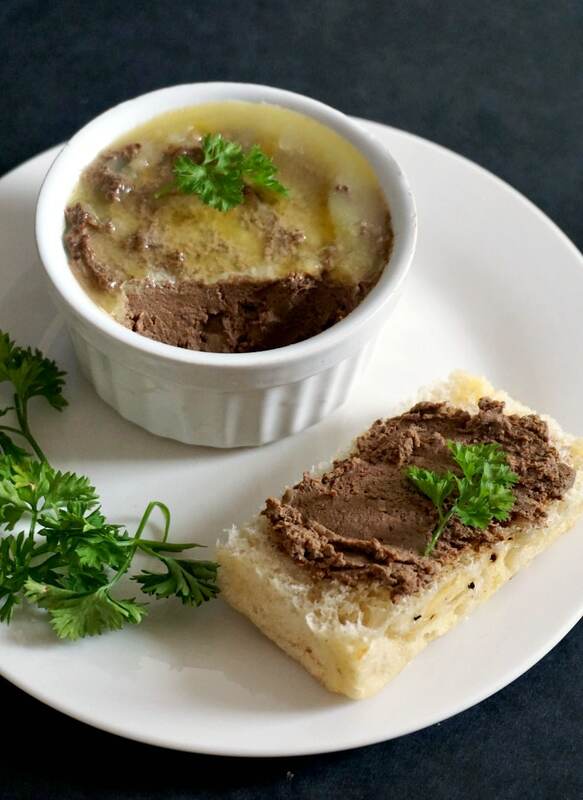 It has a smooth, creamy texture and it goes very well with any kind of bread, crackers, breadsticks and more. 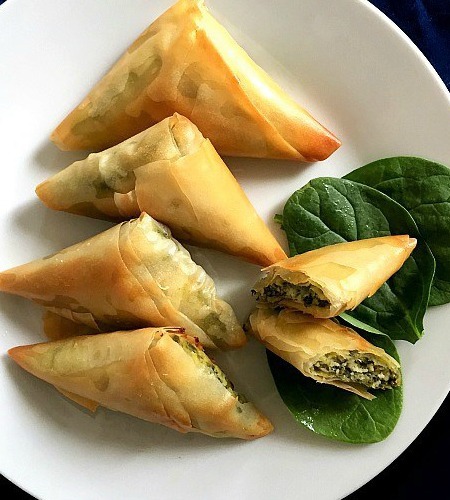 Spanakopita Triangles – a super Greek appetizer that even Spinach haters will adore. Delicious either warm or cold, they will go down a treat with every single guest. 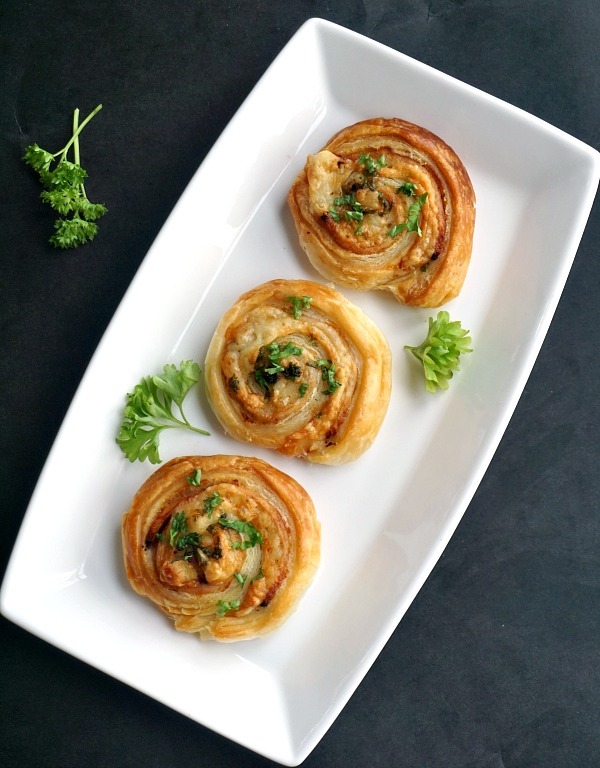 Puff Pastry Pinwheels with Ham and Cheese – Easy to make, with a delicate smokey flavour, these bites will not last long on the plate. Make sure you grab one before they are gone! 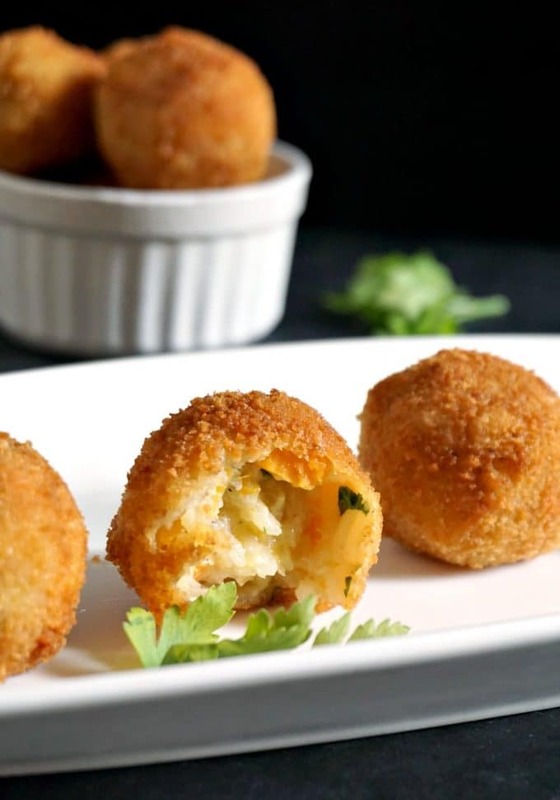 Butternut Squash Risotto Balls – these Italian arancini, are a great choice when it comes to easy appetizers for parties. 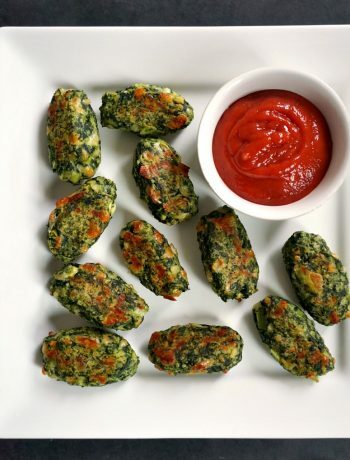 They make a nice, mess-free finger food to please even fussy tummies. 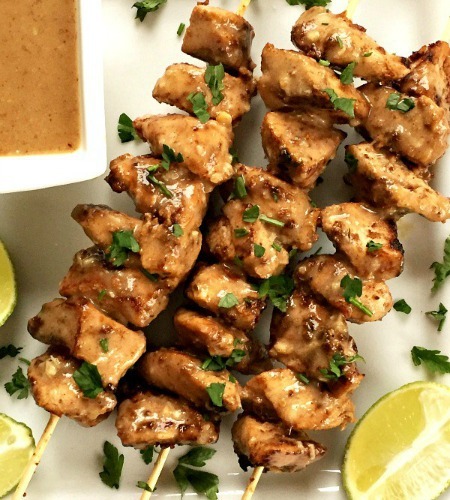 Chicken Satay Skewers With Crunchy Peanut Butter Sauce – an Asian-inspired appetizer that bursts with amazing flavours. The peanut butter sauce is finger-licking good. 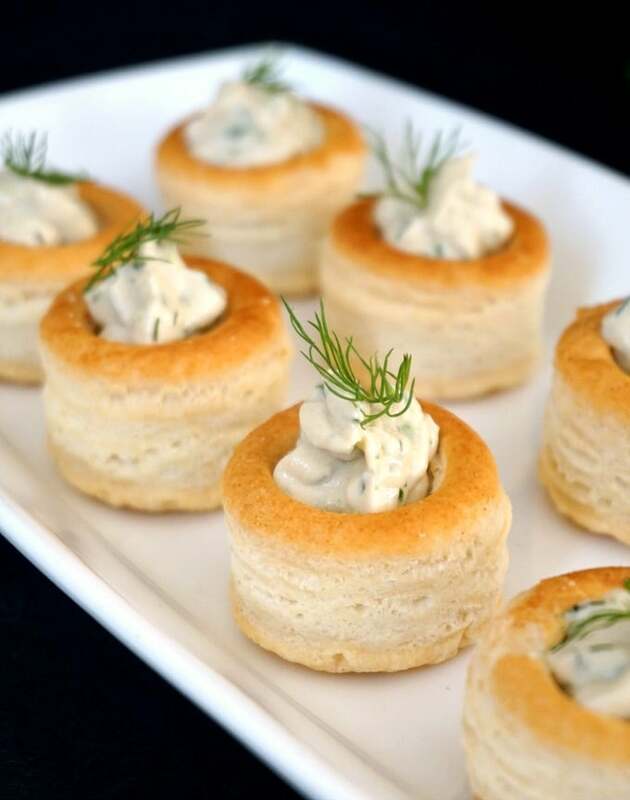 Mayo Eggplant Dip Canapés – a fantastic appetizer for your New Year’s Eve Party or any other occasion. Finger food at its best! 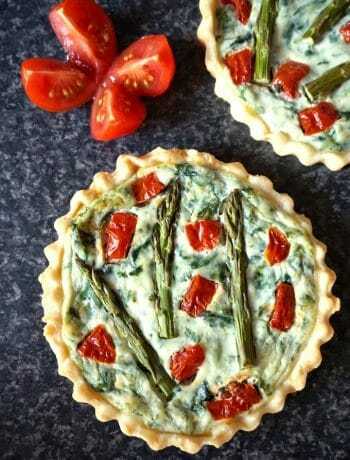 I absolutely love it, it’s light, it’s yummy, and so easy to make. 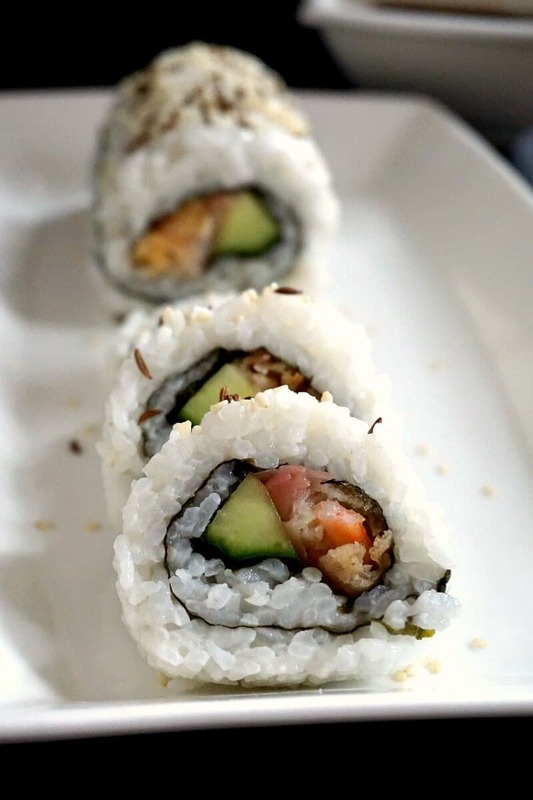 Easy Shrimp Tempura Roll (Homemade Sushi) – or the best homemade sushi. Quick and easy to make, and as tasty as the real deal. These low-calorie bites are the perfect party food for any occasion. 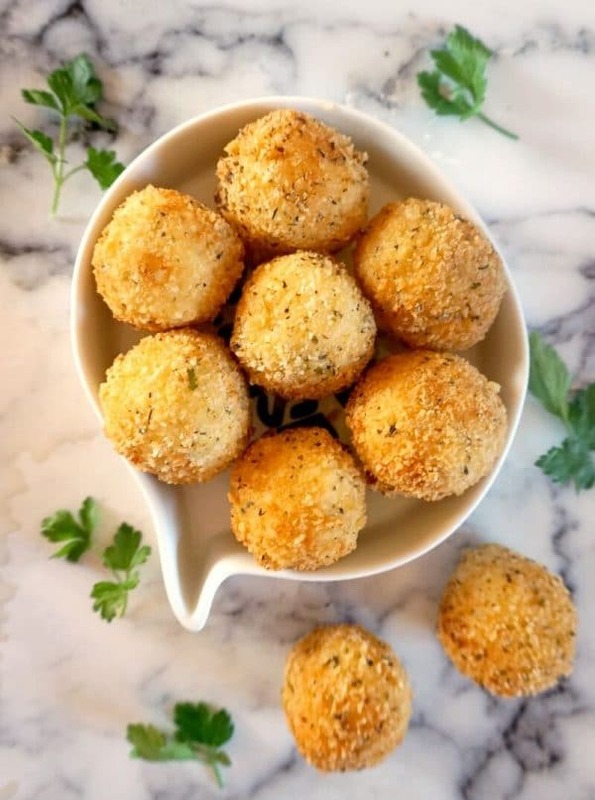 Leftover Mashed Potato Balls – sinfully golden and crispy on the outside, but soft on the inside. These potato bites are simply delicious, and ridiculously easy to make. 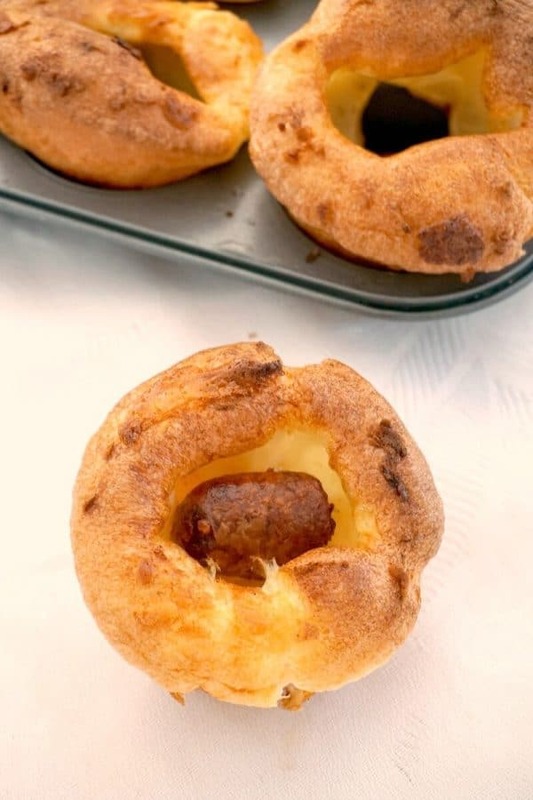 Mini Toad in the Hole Appetizers – or Mini Yorkshire Puddings with Sausages, some excellent Christmas finger food, or even some fancy New Year’s Eve appetizers for a crowd. They are super easy to make, and really delicious. 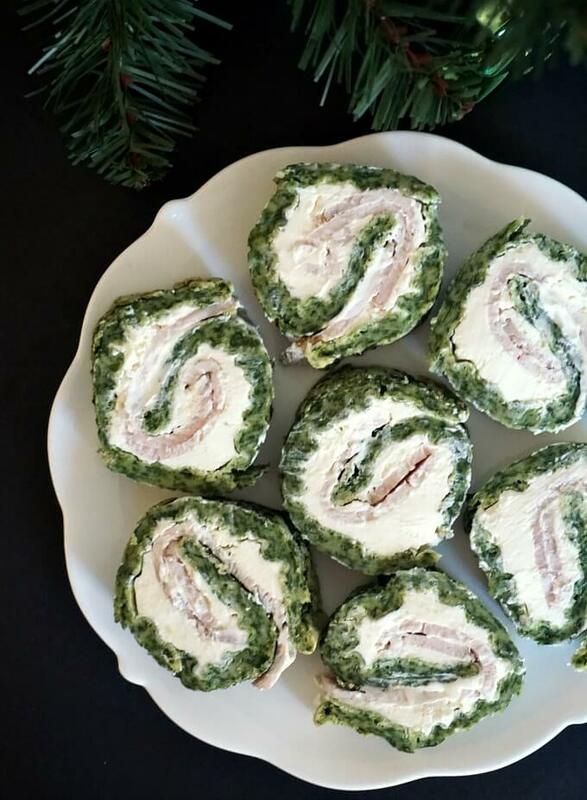 These are the appetizers I think will be the star of the New Year’s Eve Party. They can be made in advance, and served cold at the party. No need to spend a fortune on food, just bring the drinks, the rest can be made at home. If you’ve liked my NEW YEAR’S EVE APPETIZERS or any other recipe on the blog then don’t forget to rate the recipe and let me know how you got on in the comments below, I love hearing from you! You can also FOLLOW ME on FACEBOOK, and PINTEREST to see more delicious food and what I’m getting up to.